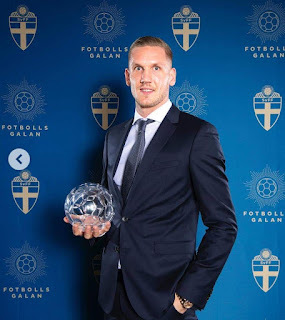 TifosiRoma - For the third year in a row, the Roma goalkeeper won the award as the best goalkeeper in his country by beating Karl-Johan Johnsson of Guingamp and Kristoffer Nordfeldt of Swansea. Motivation that leads to victory: "Intelligence and calm lead him to success with clubs and national teams". The number one Giallorossi also issued several statements: "At the beginning of the year I was injured and I had to work hard for the World Cup. It was a dream. Italy? It's okay but it can be even better". The Golden Ball, on the other hand, was given to Lindelof. The goalkeeper left a message on his Instagram profile: "I am honored to have received this year's goalkeeper award, thanks to everyone who believes in me and made this possible! ".